As I was putting everything away I got a special delivery from Beachbody! 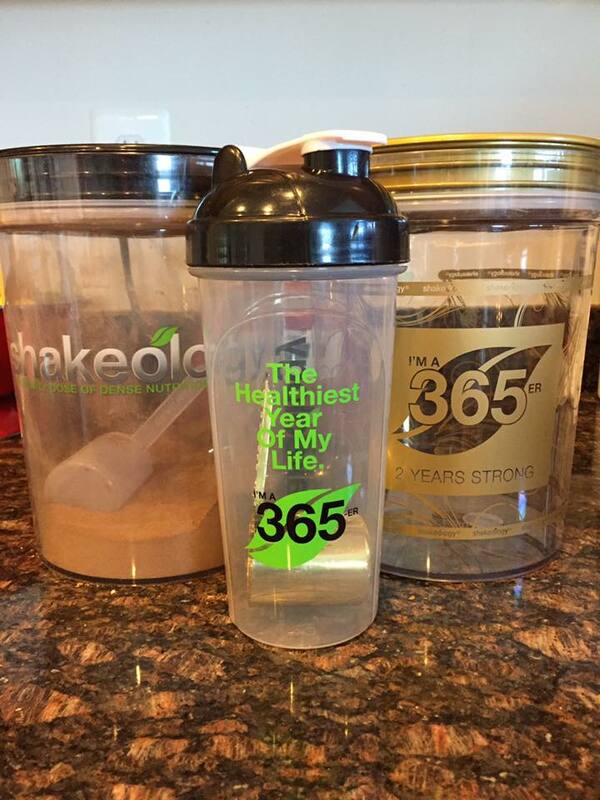 Every year that I drink Shakeology I get a special Thank you!! Last year I got a special shaker cup with a golden scoop. This year it is a HUGE! Golden Canister for storing my Shakeology in! Wonder what it will be next year? You guys hear me talk about Shakeology all the time. I really do love it because I know I'm getting the good stuff in me and that it is simple and fast to make (perfect for me as a busy mom of 3!) but honestly when we started getting it two and a half years ago I was at my last straw with trying to lose weight. We were paying 2 mortgages and didn't have the extra money to spend. Collin was a couple months old and I didn't want to go through the whole weight loss process again and had thought about doing weight loss surgery just to help me and make it easier but then my friend Janet said, "try this!" And I fell in love with it! We figured out that it would save us money ordering Shakeology in the long run by not eating out as much and not buying any more junk food and I felt at the time and still feel that it is my secret weapon to helping control those nasty cravings for sweets and treats because I can finally say no to them. No more binge eating. No more hiding junk food in the house. No more secret trips to the store for a doughnut. I found the one piece in the puzzle that made it possible for me to finally have control with my eating! TRY OUT THE NEW CLEAN WEEK! 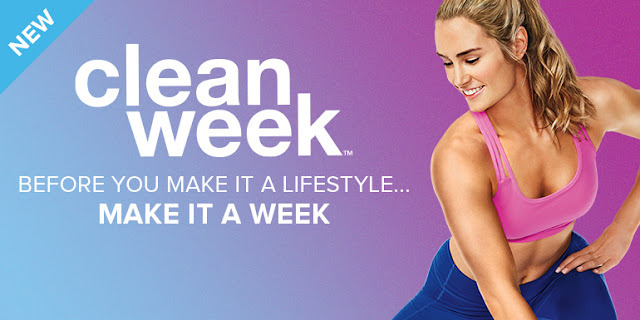 Comes with 7 Samples of Shakeology either Vegan or Original Flavors, PLUS get a week access to BEACHBODY ON DEMAND EXCLUSIVE Clean Week Workouts to help you get familiar with the streaming services and start moving! Plus me as your coach!